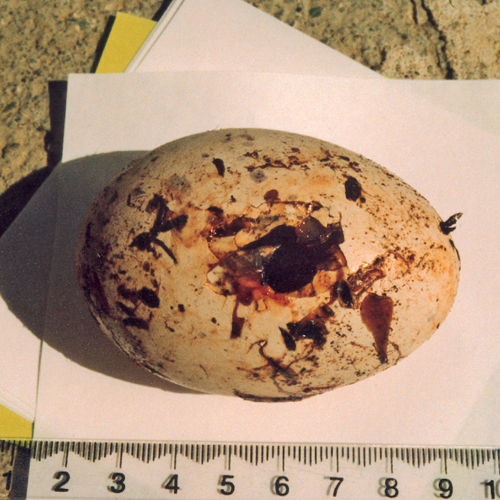 This egg was from a takahe nest attacked by a stoat in Fiordland National Park. The stoat had only just started breaking into the egg when a DOC ranger caught the stoat in the act. If the stoat had not been spotted it would likely have rolled the egg to cover, where it would have eaten it leaving shell fragments with serrated edges.